Diarrhea is the result of an imbalance of the flora in the colon, which often occurs during times of hormonal fluctuations and the use of antibiotics. Lactobacillus Sporogenes will naturally bring this flora back into balance and restore normal elimination. Lactobacilus Sporogenes are intestinal flora that rebalances the colons flora and returns the elimination process to a more normalized flow. Once the flora is returned to normal it helps with digestion, elimination and boosts your immune response by eliminating toxins from your body. 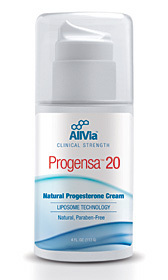 ProSoothe Menstrual Formula contains herbs that help reduce premenstrual symptoms, many women experience constipation as there colon slows down due to the flucuation of estrogen and progesterone and ProSoothe helps stabilize these hormonal levels and reduce premenstrual symptoms so you feel better. Silymarin/Milk Thistle works directly on the liver to eliminate toxins from the environment, excess estrogen produced by your body and toxins which are in the foods we drink and eat.